Whether used indoors or outdoors, the Lucida Accent Chair will bring bold art and dreamy comfort to your space at the same time. 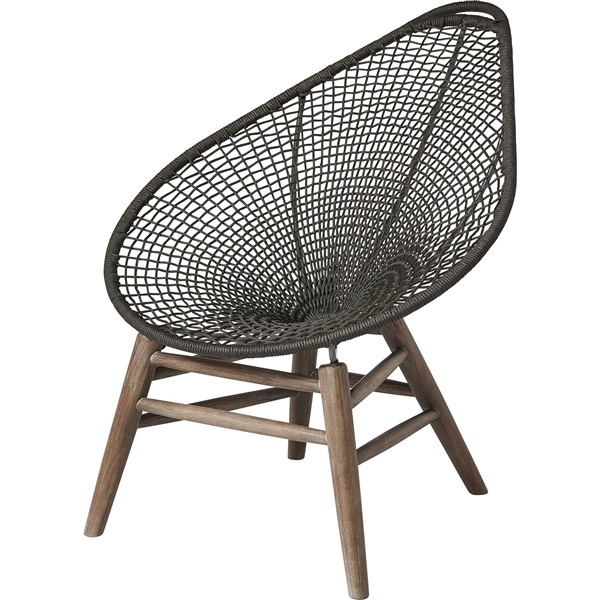 Its pear shaped seat, crafted of woven regatta cording is supported by a solid eucalyptus frame. Its exceptional aesthetic will transform your outdoor space into a backyard oasis.